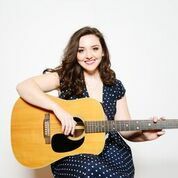 NEW YORK, November 6, 2018	(Newswire.com) - Meet Casey McQuillen, a singer-songwriter who spreads kindness, compassion, and self-acceptance through the power of music for bullying prevention. After gaining notoriety as a finalist on Season 13 of American Idol, McQuillen decided to combine her talents with her passion for bullying prevention. Casey founded the “You Matter” Tour, an anti-bullying assembly that promotes empathy and strength to students experiencing the harrowing effects of bullying. You Matter Tour is a traveling assembly concert designed to prevent bullying in schools.